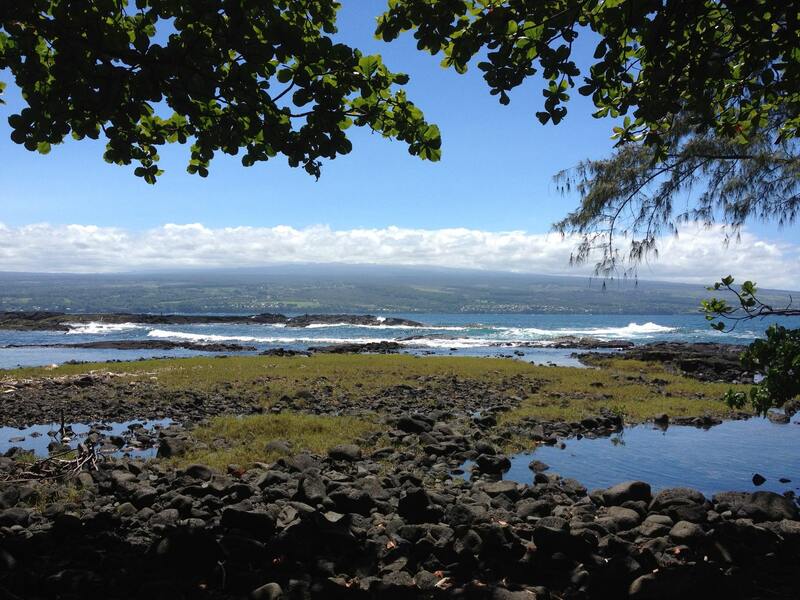 Hawaii Tech Exchange is a community organization located in Hilo, Hawaii. Our focus is on Entrepreneurship through Technology and the Arts. 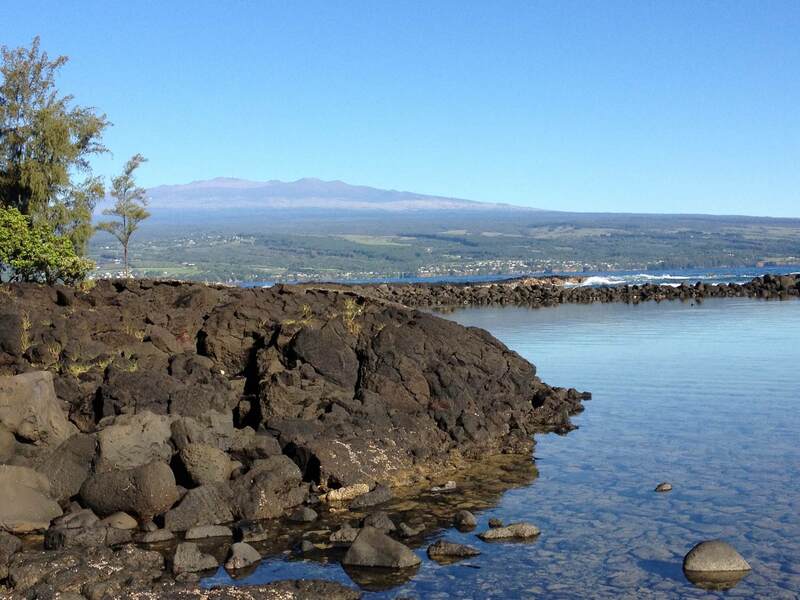 We operate “The Exchange”, a community space on Haili Street just up from the Hilo bay front. Each week we host events on Tech, the Arts, and Business. Join our Slack channel, visit our Facebook page, stop in to our events. There are no membership fees or charges. 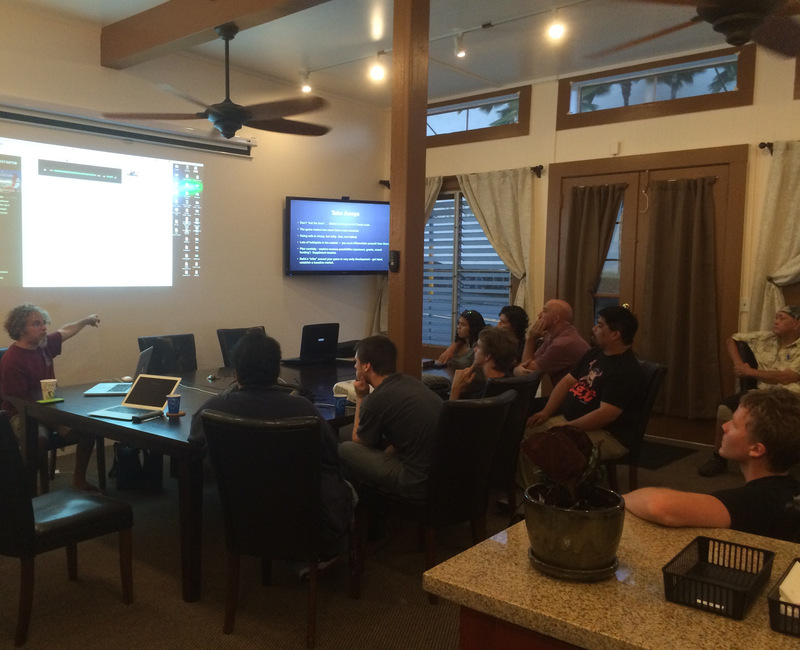 Featured Events: Refresh Meetup, January 12th, Game Developer Meetup January 28th. Cancelation: No Office Hours on New Years Eve. 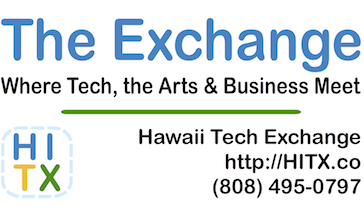 The Hawaii Tech Exchange is a volunteer-operated community organization. We bring together talented individuals and innovative businesses interested in Science, Technology, Engineering, the Arts, and Mathematics: “STEAM”. We believe a blend of the Arts (Illustration, Design, Writing) and Technology (Science and Math applied through Engineering) is key to creating economic improvements for Hawaii and ensuring our sustainable future. 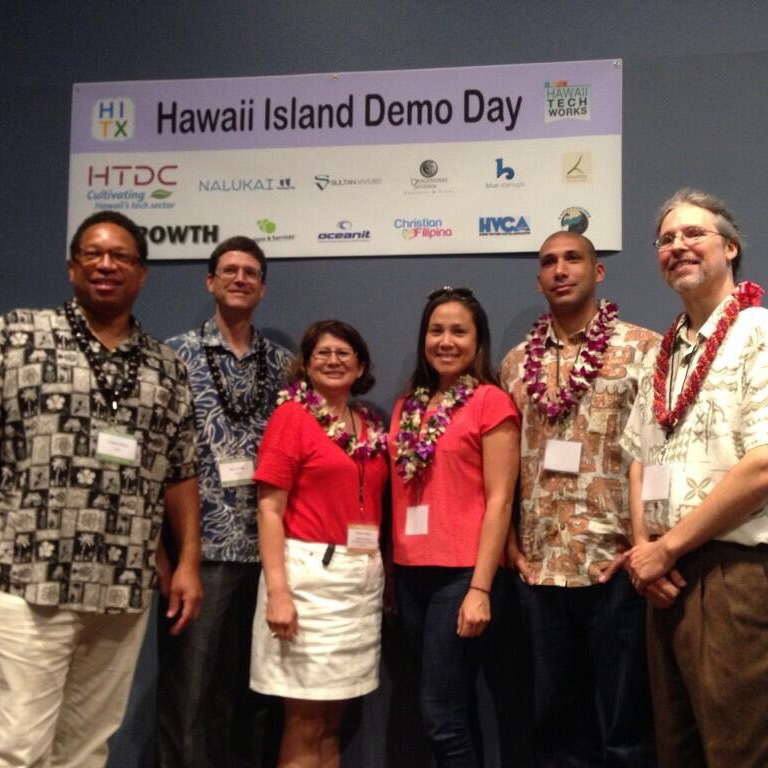 Upcoming events include: Business Workshops, the Hawaii Island Game Developer meetup, East Hawaii App Developers group, Coffee & Ink writer's group, the Hilo Robotics Meetup, the Refresh Web Design/Developer Meetup, Founder's Breakfasts, Startup chats and 1-on-1 mentoring. Check out the Upcoming events for . Join our Slack channel for even more events and get togethers. Events are held weekdays and evenings. Check out some of our previous events. The best way to get involved is to join our Slack channel. Slack is an easy to use communications tool for web and mobile. Invitation request sent. Please watch your email for a link to the group. It will arrive within 24 hours. We're very sorry. Our Slack-bot did not accept the request. Please try again later. Please check your email address. We weren't able to send an invitation there. 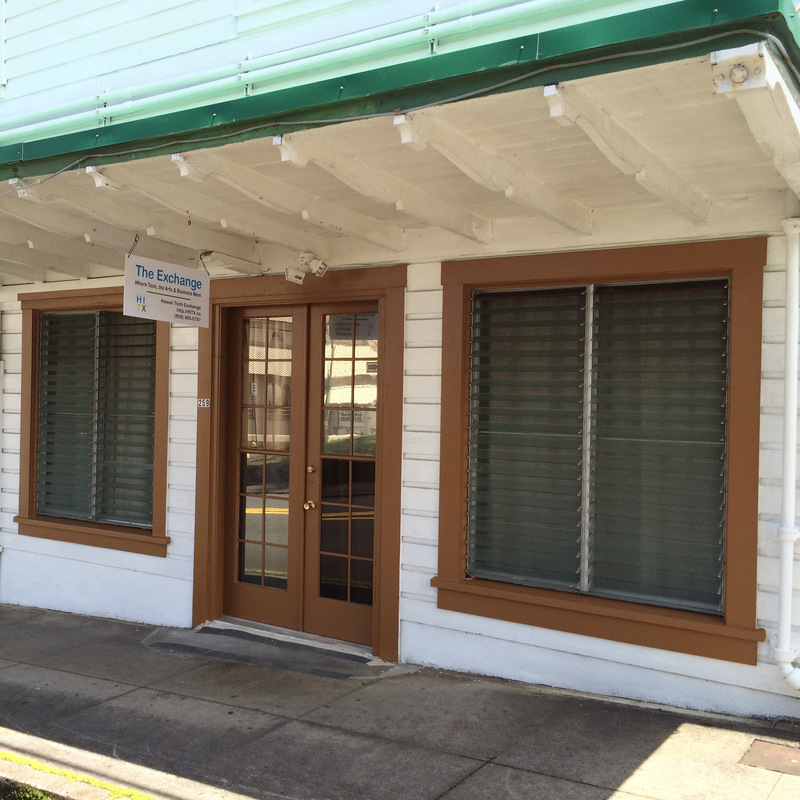 Most of our events are held at “The Exchange” — a meeting space in downtown Hilo. 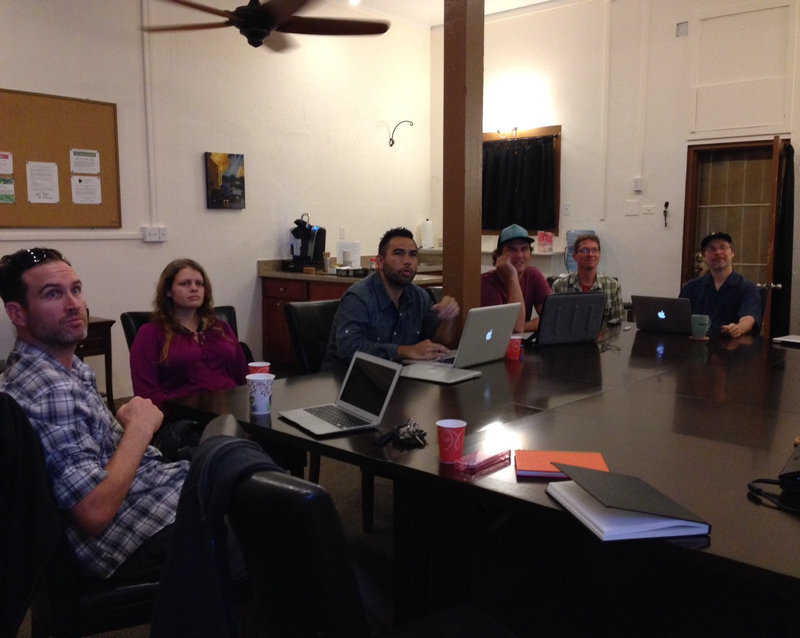 The Exchange has conference tables, a projection screen, internet and a coffee area. 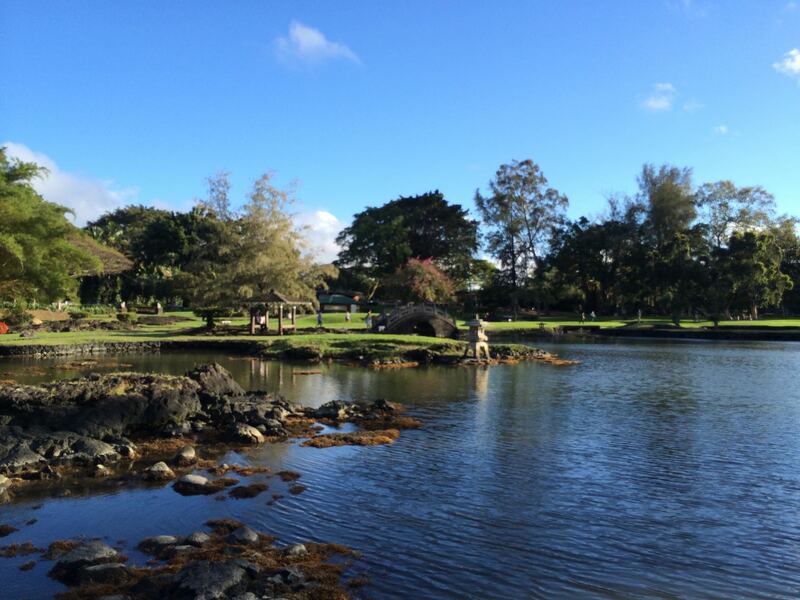 The Exchange is at the intersection of Haili and Kapiolani Streets, directly across from the Lyman Museum. There is plenty of unmetered street parking available on both Haili and Kapiolani Streets.